Wearable tech has crept into our lives. Our lives at work and our lives at home. Somehow, many of us haven’t seen this coming although we bring—and wear—our own devices to work. The same is true for IT managers and organizational leadership throughout the country. Is your company prepared for the realities of wearable tech? Wearable technology, once just a phrase we could consign to “some day in the future,” is a reality today and is growing—fast. IT and HR policies, which once amply addressed employee tech parameters, must be updated to include the mobile technology more and more people count as part of their daily lives. The “bring your own device” (BYOD) movement is here to stay. And, these same policies must also address the growing reality that is wearable technology. What Do We Mean by Wearable Technology? - Complex accessories, like health monitoring devices and fitness activity trackers, are projected to grow in popularity through 2018, largely due to their low pricing and ease of use. - Smart accessories, which include smartwatches like the Apple watch, share many of the characteristics of the complex accessory but allow third-party applications that boost functionality. Smart accessory prices are higher than complex accessories, and their adoption has been slower. However, smart accessories are projected to pick up as the population becomes more accustomed to wearable technology. Both complex wearables and smart accessories rely, to some degree, on pairing with another IP-capable device to be fully functional. - Smart wearables, the third and most complex and costly category, refer to technology like Google glass and other emerging smart eyewear, which operate independently of any IP-enabled devices. This category, still in its early stages, is projected to have the slowest consumer adoption rate although applications for business sound promising. 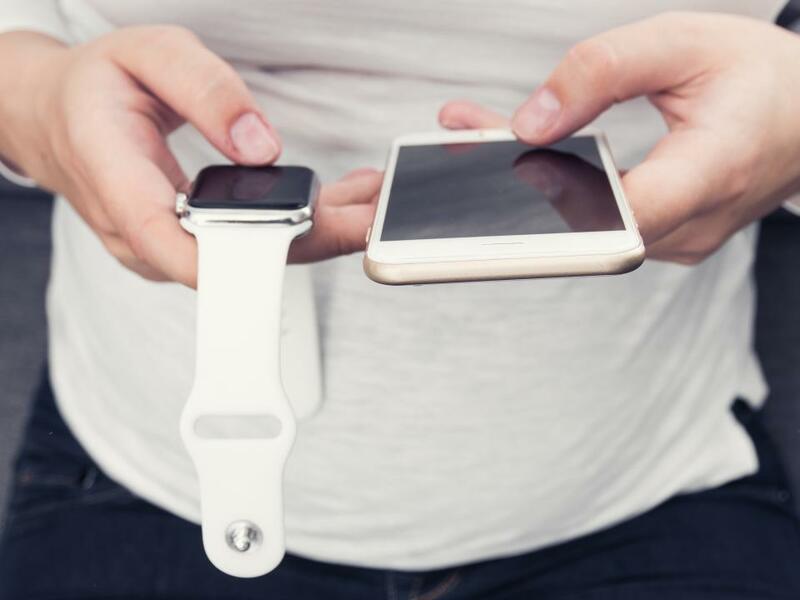 “You'd be forgiven for wondering what the fuss about wearable tech is, given the explosion of smartwatches, fitness trackers, sports watches and other connected devices in 2015. Put simply, wearables are the biggest new innovation in technology since the smartphone – and the possibilities are endless,” says Dan Sun of wareable.com, a site dedicated to wearable technology. And he’s right. Wearable tech is big. It’s growing. It is not going away. And it’s in your neighborhood, it’s in your organization, and you need to be ready to address it, which means updating the policies that govern employees’ use of it, as well as other technology. The growing use of wearable tech in the workplace presents a range of potential security and privacy issues. Companies still struggling to embrace the inclusion of the BYOD (bring your own device) movement, haven’t yet grasped the business-critical risks inherent in the use of wearable tech within the work environment. Employee privacy is a major concern. As is the protection of intellectual property and sensitive data. Some wearable tech, like smartwatches, allow the user to surreptitiously photograph or record other employees, private meetings, conversations, documents, and even workplace bullying or illegal activities, which can create a wide range of legal problems for the organization. - Will you allow your staff to use wearable devices while at work? - Will you develop a policy for wearable staff during work-related social events? - Will you monitor content on wearable devices or accessed by their users? - What will you do if an employee secretly records another employee or a confidential meeting? - How will you know if employees are recording or sharing confidential data or intellectual property? - Do you have processes with checks and balances already in place that can be extended to address wearable usage? In the coming years or even months, most organizations will need to create policies governing wearable usage in the workplace. As the pace of adoption increases, that day may come sooner rather than later. Is your organization prepared?